By 2030 another 20,000 people are forecast to live in Brighton & Hove, and this population growth will place additional demands upon the local environment and community whilst also providing opportunities for high-quality urban regeneration. The Local Strategic Partnership ‘Brighton & Hove Connected’ has been running a series of ‘Vision 2030’ events on different themes to help the city examine how we can prepare for the future, including one on the environment held in July 2018 entitled ‘Growing our Living City' at which I was a keynote speaker. This was organised by Brighton & Hove City Council with The Living Coast Biosphere programme, together with the Community21 initiative of the University of Brighton. Over 70 people from a variety of organisations took part to explore possible futures for the environment and sustainability of the city as it grows with new planned development, gathering valuable feedback focussed on four main areas: the Seafront, City Centre, Neighbourhoods and Urban Fringe. My new book Urban Regeneration — A Manifesto for transforming UK Cities – to be published at the end of the year (Palgrave Macmillan: London, 2018) – provides an urban manifesto and clear guidance to city councils, architects and decision makers on how to maximise social and environmental benefits from the urban regeneration of UK cities. It explores and offers guidance on the complex process of how to transform cities – following on from the unfinished project of the seminal ‘Towards an Urban Renaissance’ report in 1999. It is a 21st-century manifesto of ten urban principles, developed over the last two years for the regeneration of UK cities, focusing on the characteristics of a “good place” and the strategies of sustainable urbanism. How can we best transform the derelict, abandoned and run-down parts of cities back into places where people want to live, work and play? This Urban Manifesto frames an architecture of re-use that translates and combines the complex ‘science of cities’ and the art of urban and architectural design into actionable and practical guidance on how to regenerate cities. Fascinated by the typology and value of the compact UK and European city model, I introduce the concept of “high density without high buildings” as a solution that will make our cities compact, walkable, mixed-use and vibrant again. Urban density and compactness are key for making a city sustainable, resource-efficient and resilient. Urban density and mixed usage are key factors in determining the sustainability of a neighbourhood and its urban liveability. High density without high buildings means to focus on mid-range densities of 3 to 6-storey buildings around public transport nodes that are mixed-use, providing a wide range of functions, from residential to commercial, retail spaces and so on. In future, cities like Brighton & Hove will be composed of small blocks with pedestrian permeability and intensive activity focused around the train stations. It is an urban model of urban blocks as transit-oriented development with reasonable ‘quality density’, most likely to deliver liveable and vibrant new quarters. The model of the poly-centric network city with multiple centres rather than a single point is of particular interest, for example Brighton & Hove could focus on developing other higher-density areas around railway stations. However, making neighbourhoods more compact and dense always needs careful consideration and a process of optimisation to balance potential adverse effects like over-shading or the loss of privacy. A recent survey in Bristol found that most residents felt that new building heights should broadly reflect the prevailing height of those around it, and supported the objective to optimise densities, by balancing the more efficient and effective use of land with an aspiration for successful place-making and liveable homes in pilot ‘Urban Living Focal Areas’. The Urban Manifesto builds on my 30 years of reflective practice in urban design and sustainable architecture, and my extensive advisory work with cities worldwide, where I advocate health as the main policy driver. It provides a synthesis of knowledge across different disciplines, and was written to fill a much-needed gap and offer guidance on the complex process of how to transform and regenerate post-industrial cities in the UK, where attention is turning to the regional cities. It will be an important resource for developing urban strategies and adaptation solutions to ensure our cities are resilient, resource-efficient and sustainable in the face of intensifying global warming. Watch this video and have a look at our website for more information. Do you support the regeneration of unused land for community gardening? Our neighbourhood are having difficulty gaining permission from BHCC and could do with some motivation. 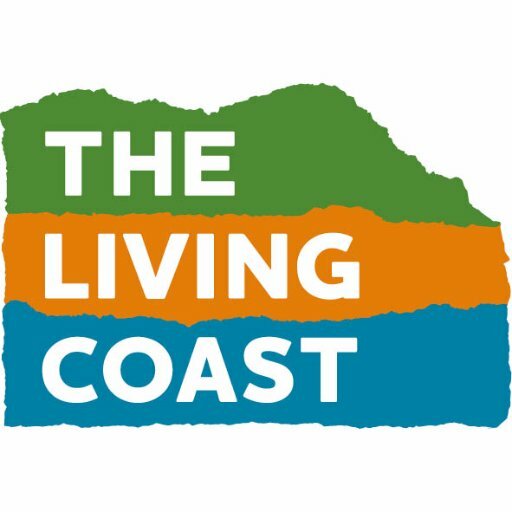 Is there someone at The Living Coast who might be able to help us? Thank you.